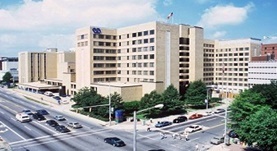 Dr. John Fiveash graduated the medical school from Medical College of Georgia School of Medicine and did his internship at the Memorial Medical Center. 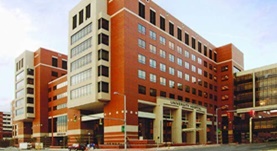 He completed his residency program at Medical College of Georgia and his fellowship at University of Michigan Medical Center. Dr. Fiveash is both specialized and board certified in Radiation Oncology. He has been in practice for more than 20 years and is affiliated with Birmingham VA Medical Center and University of Alabama Hospital. During his career, he has also contributed to several publications of medical interest. Dr. John Fiveash has contributed to 3 publications. In Reply: Volumetric Arc Therapy (RapidArc) vs Gamma Knife Radiosurgery for Multiple Brain Metastases. Thomas, E. M.,Popple, R. A.,Markert, J. M.,Fiveash, J. B.; Neurosurgery. 2015 Jan 27. Cognitive predictors of understanding treatment decisions in patients with newly diagnosed brain metastasis. Gerstenecker, A.,Meneses, K.,Duff, K.,Fiveash, J. B.,Marson, D. C.,Triebel, K. L.; Cancer. 2015 Mar 05.